A leader in its mission to protect the environment, Environmental Defense Fund is making strides in securing a healthy environment for future generations. Environmental Defense Fund (EDF) is a nonprofit organization guided by science that represents over 700,000 members. 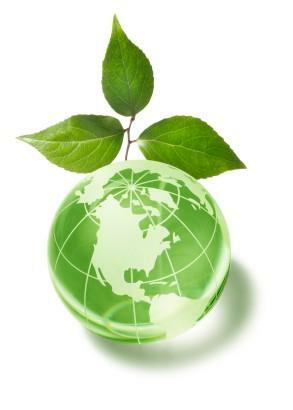 The organization exists to address the many environmental issues that affect society. Formed in 1967, the EDF has been working ever since to protect the environment and people's environmental rights such as clean air and water and healthy ecosystems. In addition the Fund works with government agencies, businesses and communities around the globe to find the most cost-effective solutions to environmental issues. The organization's approach is science-based. EDF engages scientists as well as economists who are experts in their field to clearly define goals. EDF has been awarded a four-star rating by Charity Navigator. This means that the nonprofit entity been recognized as exceeding industry standards as well as outperforming in their area of concern: environmental defense. Global Warming: Reducing pollution that leads to global warming is an issue that EDF addresses. The organization is working on putting an end to the pollutants that cause climate change and helping businesses find low-carbon solutions. In addition EDF is working toward securing an an international climate agreement. Land, Water and Wildlife: Protecting rivers and restoring habitat are important to any ecosystem. Conservation and preservation are main concerns addressed by EDF. The organization partners with landowners to protect habitats. Wildlife preservation is an important issue that the EDF pays close attention to. Oceans: EDF is working on restoring fisheries and protecting the ocean's habitat. In return, people will be able to select healthy seafood options. Visit the Seafood Selector website page to learn more about the best and worst options as well as find out more about EDF's work in this area. Health: Human health is affected by many of the toxins and pollutants in the environment. EDF recognizes this fact and has set goals to address these issues.EDF works on building healthier communities by presenting green alternatives to be used in building projects as well as cutting out congestion on the many roadways around the country. There are also planned giving and stock gift options to consider as a donation. Another way to help is by changing little things in your life. These little things can make a big difference and have a lasting impact on the environment. For example, there are several ways to live green and protect the environment. Consider reducing car emissions by driving slower and opening the windows of your car instead of using the air conditioning. At home, choose Energy Star appliances and always unplug the appliances you are not using. These two things save energy as well as money. EDF works on finding solutions to many environmental issues. The organization partners with government entities, private companies, and communities to protect, preserve and restore the environment and sustain it for future generations.